Well….if you are going to hit 300 reviews, no. 300 might as well be worthy of a milestone, and this one is an absolute belter from last year, but it passed me by and its such a good album I wanted to review it still. One of the absolute highlights for me as a blogger was back in 2009 when I was sent a cd of a band I’d never heard of called Tilt. It was a 4 track EP that completely blew me away. I’ve pestered band leader Steve Vantsis (Bass) a couple of times over the years asking when an album was in the mix. A random tweet I found a few weeks in my feed informed me of a new Tilt album called Hinterland, released in April 2016. Bugger. A hasty purchase was made of the vinyl. If you’re a vinyl fanatic, this version is one of the most sumptuous versions I have in my collection. Heavyweight vinyl to be played at 45 speed for ultimate sound, gatefold sleeve with some mighty fine inner sleeves and lyric postcards. Basically before I even listened – it’s a thing of beauty. Its the real reason vinyl was made for. Enough of the gushing, back to the review. There’s been a personnel change from Million Dollar Wound. 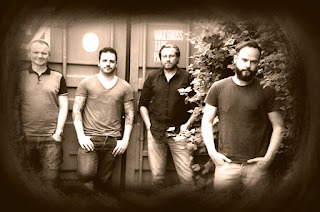 Its still Steve Vantsis (Bass), Dave Stewart (Drums), Robin Boult (Guitars), and Paul Dourley (Vocals), now graduated from ‘featured’ vocalist to the main man. In comes Paul Humphreys (guitars), with guest appearances from John Beck (It Bites) and guitarist John Mitchell (It Bites, Lonely Robot, Kino, Frost*). Steve, Dave and Robin have been associated with Fish (the human) on his solo albums and tours for twenty-plus years. Mitchell is also responsible for the final mix. Well as per the EP, not a lot has changed (in a great way!). The music on offer rises and falls like the tide, one minute subtle and mellow, the next a crescendo of riffs, and textures that just hit you full on. ‘Hinterland’ is an area lying beyond what is visible or known. If you can’t see it, you can certainly hear this Hinterland. Opener ‘_Assembly’ is straight up in the same vein as the EP a few years back. It has a bit of an electronica and somber opening, before Dourley’s vocals drag you in to its latter intensity. Its a song (and album) that could easily be played as background music, or full on ‘open the windows mode’ for all your neighbours!! 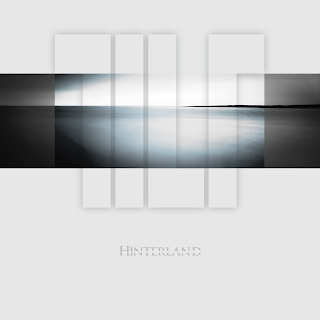 Right out of the box, ‘Hinterland’ is a song that just hits you straight between the ears with its metal-prog riff and up-tempo vibe, and carries you right along for the ride. ‘Against The Rain’ is a song that you could easily hear on a Scandi drama, drawing you into the action with its atmospheric sound, mournful even. It’s the polar opposite of ‘Hinterland’, its a prog ballad in essence, but it is equally fantastic. It’s fairly minimal in its approach, with Dourley’s haunting vocals moving the listener. ‘No Superman’ is the sole survivor from MDW to be worthy of its place on the album (I wish some of the others had made it across). Its rock all the way with this one and Dourley’s vocals when hitting the higher notes have a tone of Chris Cornell to them. Its not grunge, far from it, as this has more textures than Edinburgh Woolen Mill, and is still a fave of mine a further 8 yrs down the line. ‘Growing Colder’ is just beautiful, right from the delicate piano opening, through to the instantly memorable sing-a-long chorus to the gorgeous orchestral string ending. ‘Strontium Burning’ is in the realms of arena rock. I can just imagine this one being belted out at full pelt at Wembley. ‘Bloodline’s’ opening section is similar in stature to OSI (look ‘em up), a gentle opening feeding into a pulsating bass line and chorus, and a crackin’ guitar solo from Mitchell, before reaching its chilled and relaxed finale. ‘_Disassembly’ bookends Hinterland with ‘_Assembly’ as a companion piece – it has an atmospheric opening, centred around Dourley’s delicate and moving vocals before the song slips away via its long fade-out. Fantastic! Think of a film that you get more out of it the more you watch it. 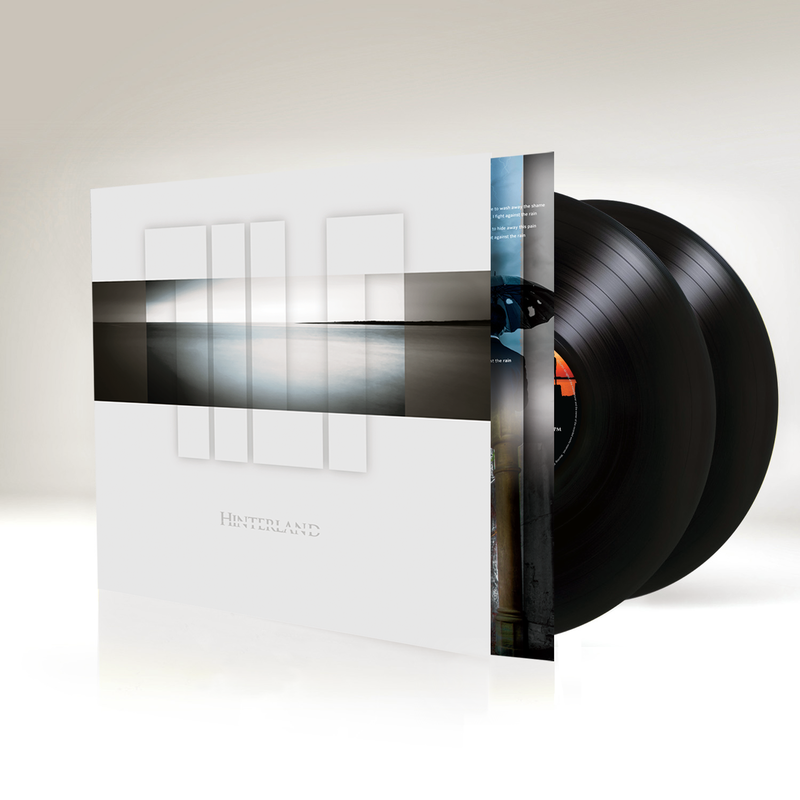 Hinterland is exactly the same; it deserves multiple listens before you can really comment – just like a Rush album in the 70s/early 80s. Whilst most of the site and mags that review this I expect to be prog specialists, but to me, its an album for all tastes, covering electronic, pop, metal, rock and more. It truly is one of my fave albums of recent times. I cant single out any individual, as all of Tilt has worked their arses off to make such a superb album. This is not a typical album by any stretch of the imagination. My brain has already been conditioned to Tilt for some years, so it’s been like shaking hands with an old friend. It may take non-believers a couple of listens, but once you’re ‘in’, I guarantee you, there’s no way out! Hinterland has been picked up by Classic Rock ‘PROG’ mag for its awards ceremony. Stealing a line from that M&S woman, ‘this isn’t any old Prog rock, this is Tilt prog rock’ and long may they continue.